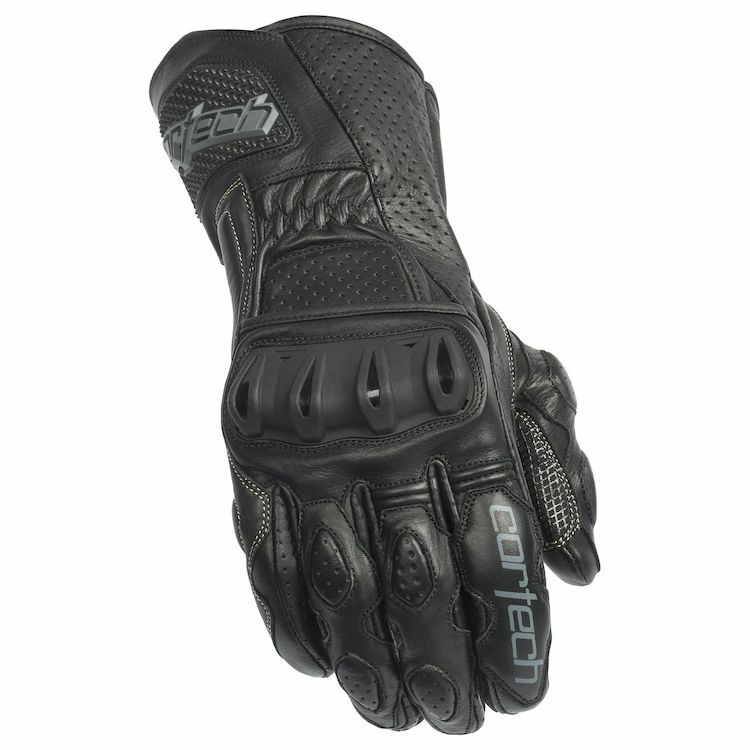 The Cortech Latigo 2 Road Race Gloves are great for the road and the race track. The leather outer is doubled up on the palm with TPU molded knuckle protection and long gauntlet cuff. Rubber padding inserts in the palm and wrist help increase comfort, reduce shock and add protection and pre-curved palm and fingers combine with finger expansion panels to help reduce hand fatigue and improve dexterity. The Cortech Latigo 2 RR Gloves are a great value for the rider who demands more from their gloves.